Hope you all had a great day as well with loads of pomp and joy. There are many versions of chakkara pongal and I like all of them :) Basically I have a sweet tooth and pongal is one of my favorite sweet dish. Checkout for the milk version here and for pongal Kolambu here. Wash rice and moong dhall together. Pressure cook them by adding 3 cups of water for 4 whistles. Take jaggery and 1/2 cup of water in a pan and heat on low flame until the jaggery melts completely. Switch off the stove and pass through a sieve to remove dirt. 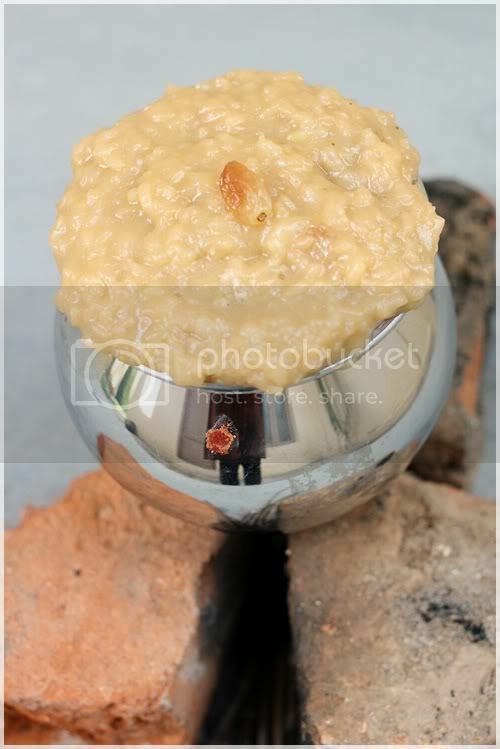 Now take a heavy bottom pan and transfer the jaggery liquid and the cooked rice and dhall to it. Add milk and stir well. 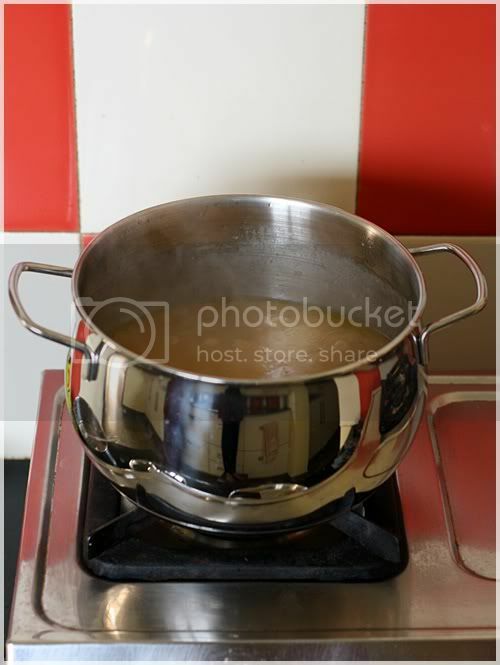 Close the pan with a lid and cook until it becomes thick. Stir in equal intervals to avoid it getting stuck to the bottom of the pan. Fry cashews and raisins in ghee and mix it to the pongal. Finally add a pinch of cardamom and pacha karpooram and stir once. Delicious chakkara pongal is ready. Happy Pongal..looks yummy also luved the miniature pongal.. Wish you every happiness and cheer for the new year in your new hearth! 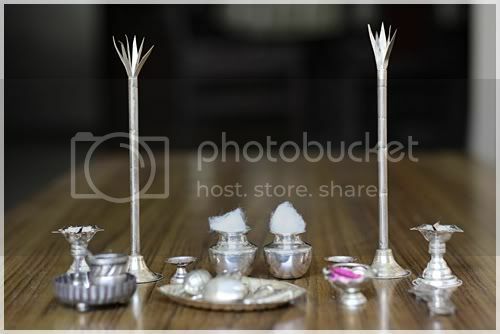 Glad to hear you are having a fabulous pongal feast in ur new nest, enjoy dearie..Lovely miniature pongal. happy pongal to you Nithi.... The set looks awesome, tiny and cute. the pics are as usual beautiful! A very happy pongal to you Nitya......beautiful pics as always. 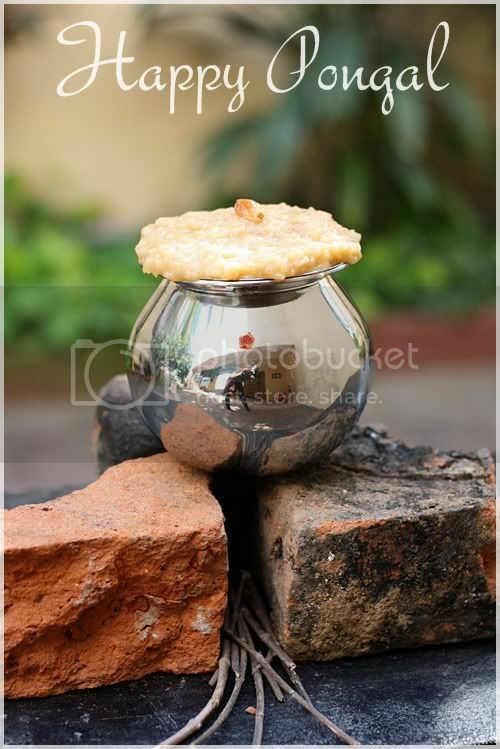 Beautiful clicks & yummy pongal..